If like many of the male population, you’ve left your girlfriend’s Christmas present until the last minute, then our Girlfriend Gift Guide may just be your knight in shining armor. We’ve put together a list of products that we think would be perfect for your girlfriend this Christmas. 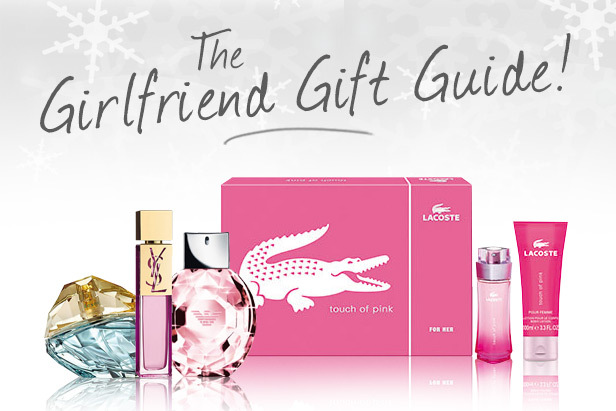 This Lacoste Touch of Pink Gift Set is ideal for the ultimate girly girl. This lovely gift set is really feminine and would be a welcome gift for any girlfriend. 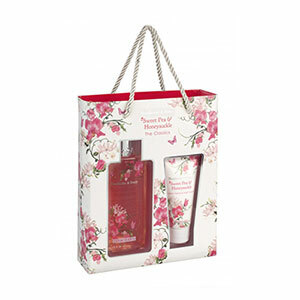 Inside this pink gift set is a 30ml bottle of the Touch of Pink Eau de Toilette and a 100ml lightly scented body lotion. 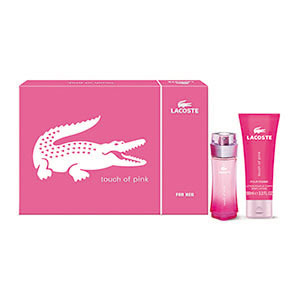 Lacoste Touch of Pink is a sweet smell which celebrates notes of orange, peach and vanilla, making it a great every day fragrance. 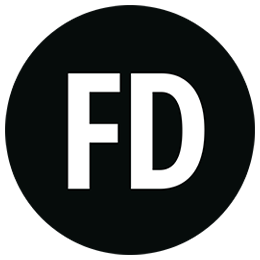 If you still want to get your girlfriend a fragrance this Christmas but you’d rather save your money for a bigger present, then J.Lo Deseo is great if you want a more affordable scent. Created by Jennifer Lopez, Deseo is a refreshing fragrance which was inspired by J.Lo’s Italian garden. It features notes of orange blossom, amber and sandalwood and is a great day to nighttime scent. Did we also mention that the bottle is very striking? Diamond shaped and glistening, this would make a great addition to her collection. 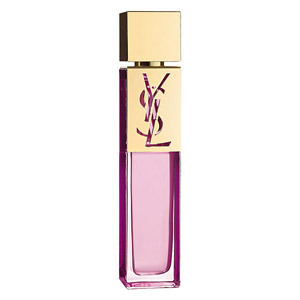 A sophisticated and stylish fragrance, YSL Elle is quintessentially feminine. Elle is a glamorous and luxurious scent which features raspberry, jasmine and freesia, this is a perfume that is perfect for any YSL fan. 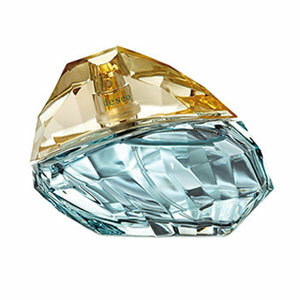 The bottle design mirrors how rich and opulent Elle is makes it a gorgeous fragrance for any woman, on any occasion. An update from Emporio Armani Diamonds, Diamonds Rose shows the lighter side of the romantic rose flower. Created with delicate pink rose petals in mind, Diamonds Rose is a memorable fragrance which will earn you major boyfriend points if you present your girlfriend with this on Christmas morning. 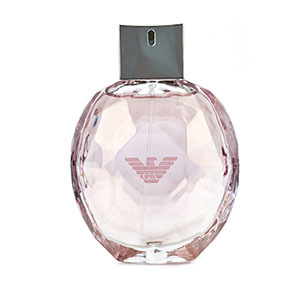 Not only is the bottle effortlessly sweet, the fragrance is as well, which makes it an all rounder daytime fragrance. Even after Christmas is over, there will still be months worth of horribly cold nights when all your girlfriend will want to do is slide into a warm bath. This Heathcote and Ivory gift set contains a 250ml sweetpea and honeysuckle bath cream which will make the perfect treat for her bath time routine. A 100ml handcream is also included in this adorable set which is great for nourishing and protecting the hands from the harsh winter weather. What are you thinking of getting your other half this Christmas? Let us know by leaving a comment below. I don’t have boyfriend.It will be great gift for me. What a great way to save money this Christmas than a free gift for my missus.